TBD results due to no #OhmHour, until the meter data from a utility is received. OhmConnect receives energy data from your utility, and we use that data to calculate your points for a given #OhmHour. When an #OhmHour is over, we show "TBD" for your points — until we get meter data from your utility for that hour, which usually takes about 2 days. Once the data comes in, we calculate your points and display them on your dashboard. Occasionally however, you'll see an #OhmHour show TBD longer usual. 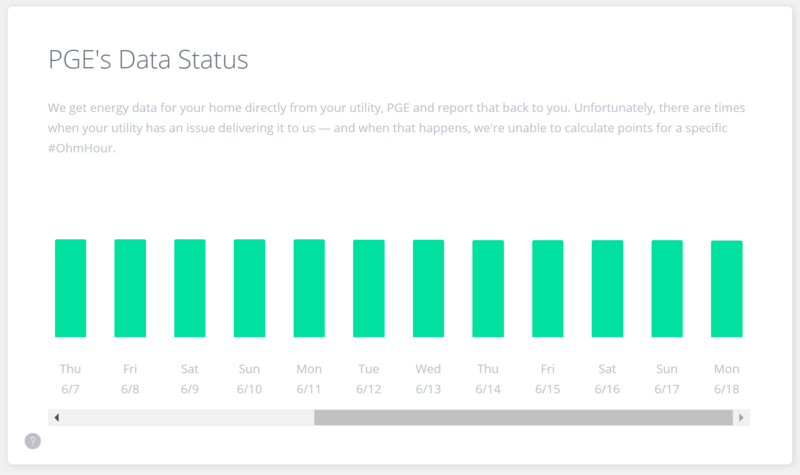 This happens when your utility has trouble delivering your smart meter data to us — we can't calculate your points when this happens, and we show TBD instead of a points value. If you see TBD for an #OhmHour for more than 2 or 3 days, and you're wondering what's going on — check out the state of your utility on the Help page! 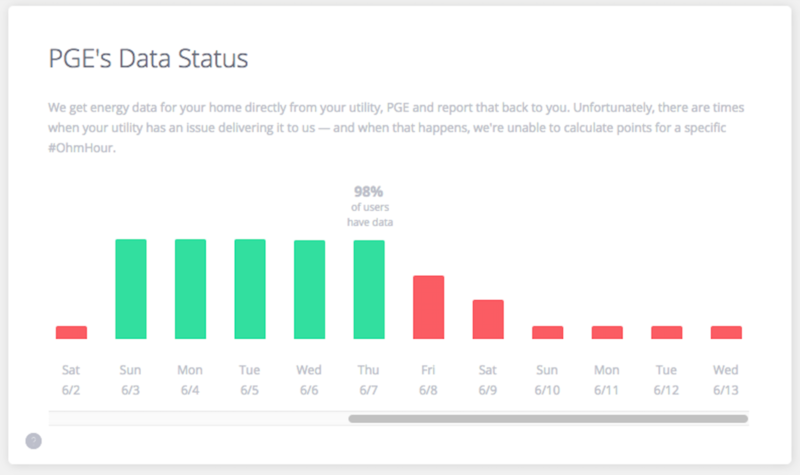 The Utility Data Status widget shows you the status of the last week and a half's worth of data from your utility. All green means that around 97% or more users for your utility have their data for that day — and your #OhmHour points should be reflected correctly on your dashboard. In this example, looking at the red lines here, you can see we are missing a great deal of the utility data on 6/2, and we are also missing data from 6/8 to 6/13. In this example, a lot of PG&E users are seeing TBDs on their dashboards for those dates in red. The good news is, we always eventually receive your data from your utility, albeit sometimes late. This widget is an up to date guide to let you know how the data is flowing in from your utility. Consult it any time you are wondering why you're seeing a TBD for a while, and use it to determine if others are experiencing the same thing or not. We post any known technical issues with OhmConnect here, so you can see everything we are currently aware of and working to fix. 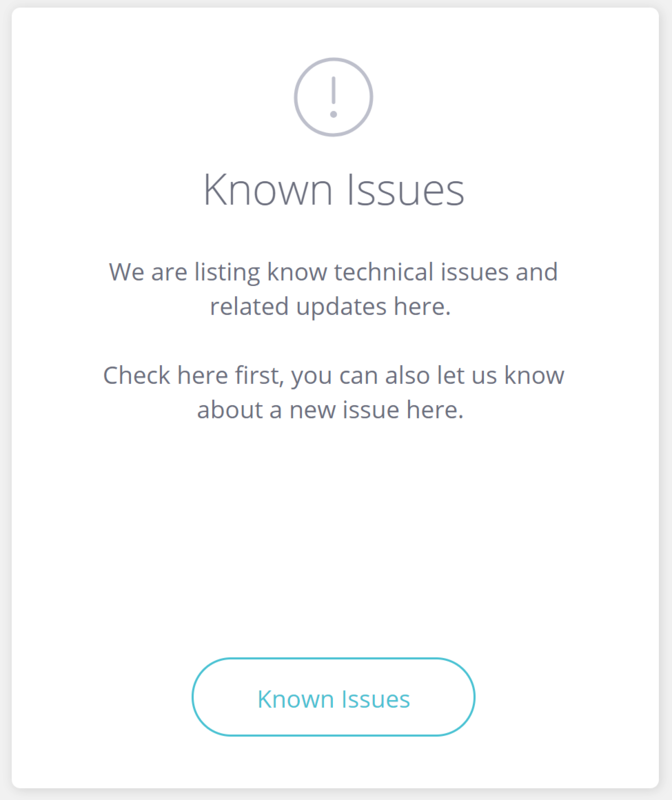 We make sure to update this section often, so if you see something that doesn't look quite right, head over to the Help page and check out the known issues to see if what you're seeing is there. If it's not, feel free to contact support and give us a heads-up.